The bariatric Heavy Duty Wheelchair has up to a 700 pound weight capacity. 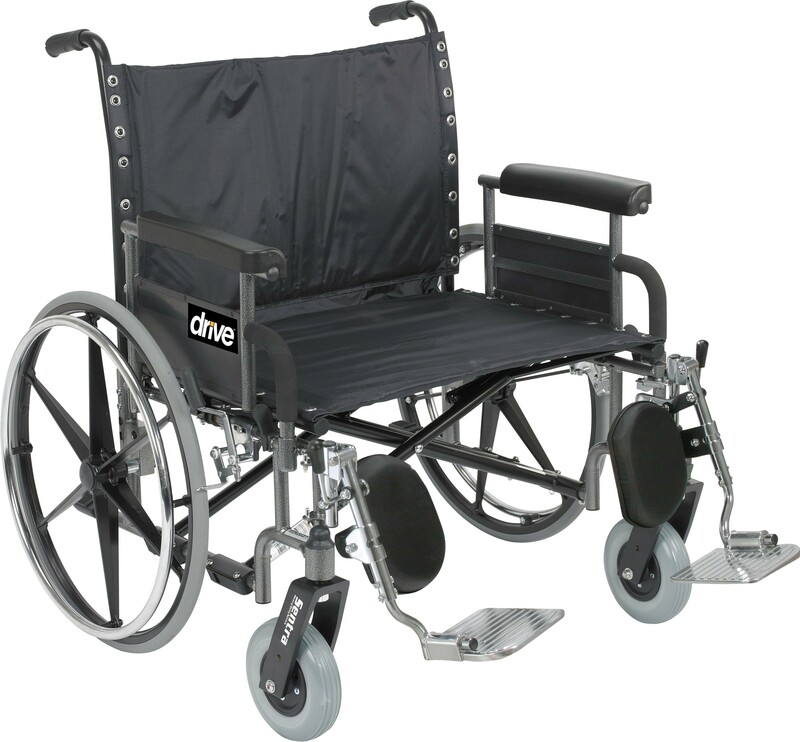 Generally, made with reinforced steel gussets, reinforced nylon upholstery, reinforced side frame, extra heavy duty front forks and casters, and dual cross bars. Seat width 28" or 30"